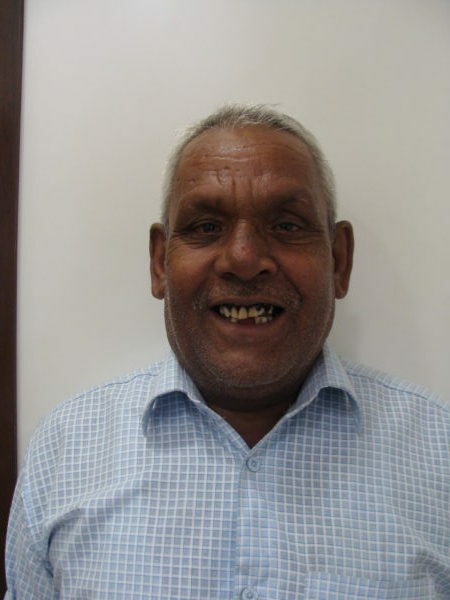 His son ultimately looks for Dental Implants in Mumbai online. An appointment is booked on mutual convenience on phone. 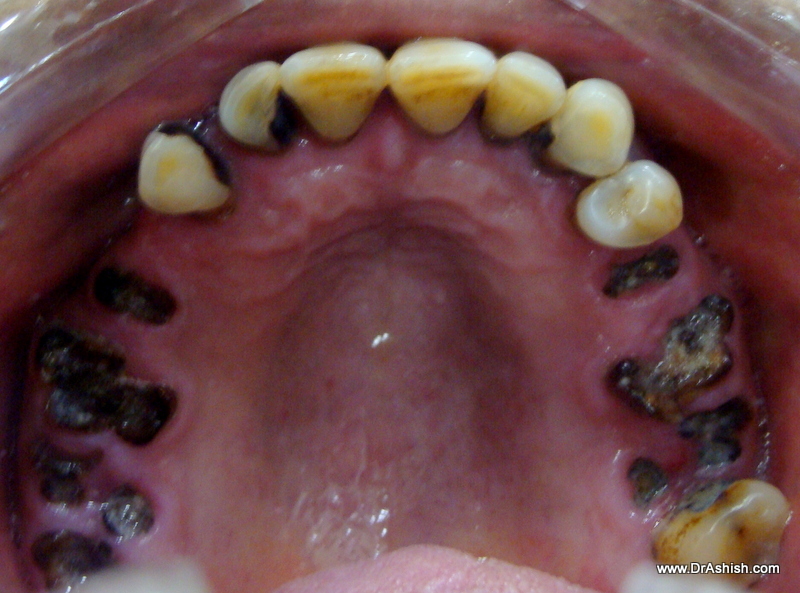 The patient wants all his existing Teeth to be made clear of any decay. He also wants a long-term solution once and for all. After extensive consultation agrees to undergo Dental Implant treatment for his father. 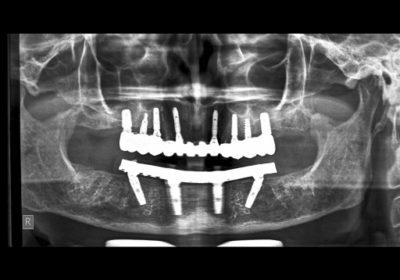 This type of specialised treatment is called ALL ON 4 Implants. 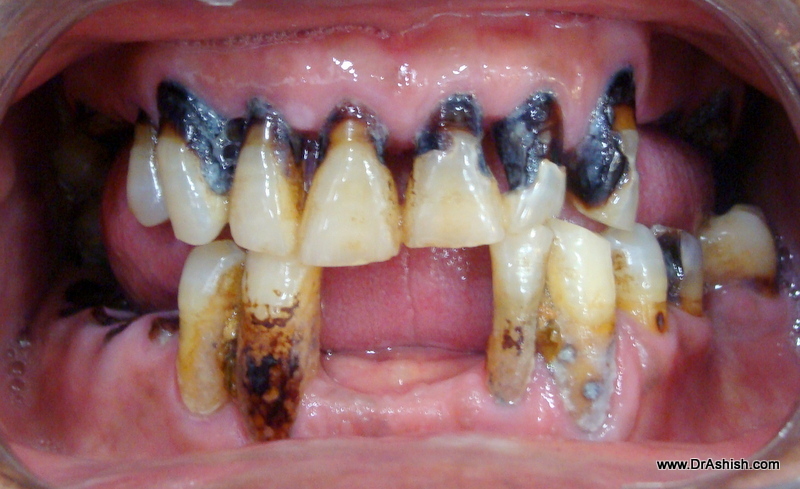 A care full study of his existing Medical and Dental Condition is done. Full mouth X-Rays, CT Scans, Study Models and Photographs are done. A seamless Treatment Plan is created. Everything related is explained. The patient is explained with customised audio-visual aids like software, photographs of previous cases and Brochures. The old man is extremely cooperative and cordial. 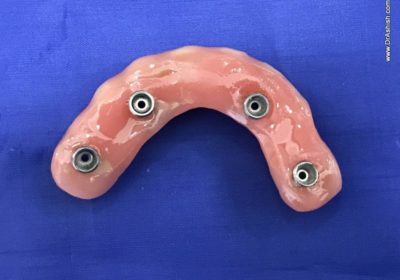 We make his provisional Teeth before extracting his remaining teeth. 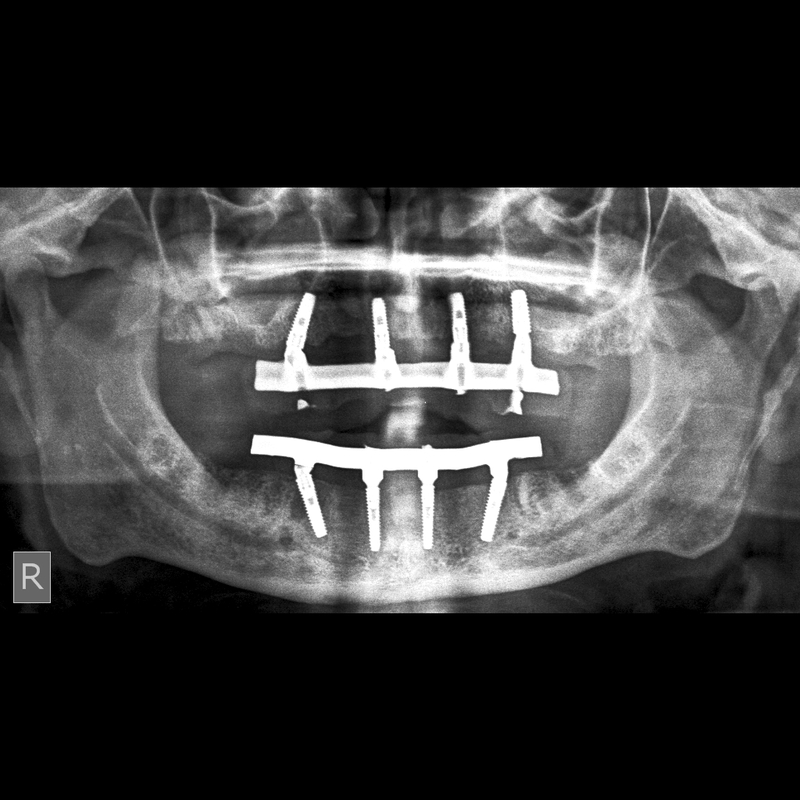 One jaw is treated at a time and these teeth are screwed on just 4 Implants. Nobel Biocare’s ALL ON 4 Protocol is adopted . 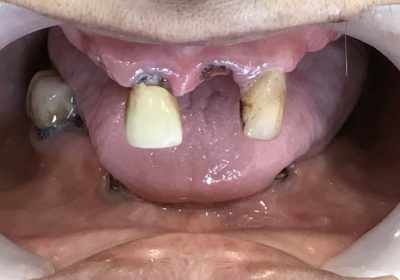 The extraction, Implantation, Bone Grafting and attaching prefabricated teeth is all done in 48 Hrs. 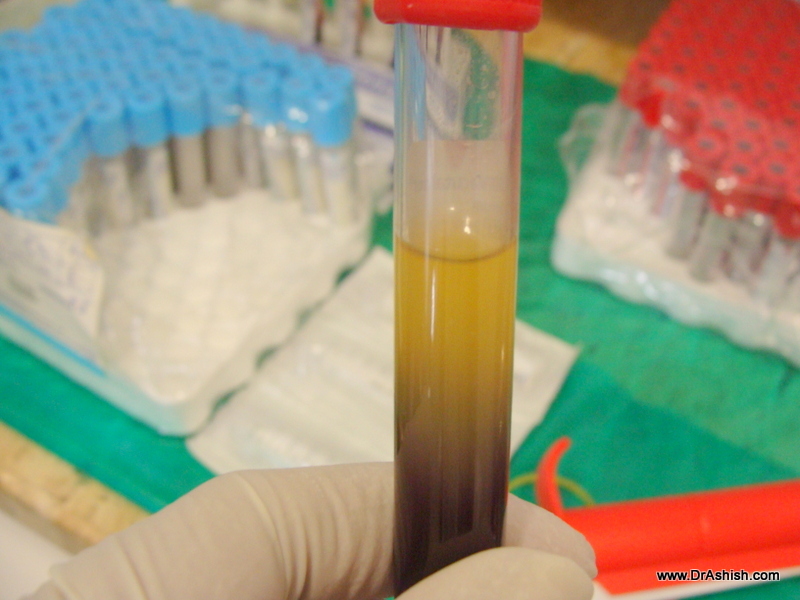 We also take his blood and process it to generate Plasma Rich Growth Factors [PRGF] along with Plasma Rich Fibrin[PRF].This helps tto regenerate bone faster and better. 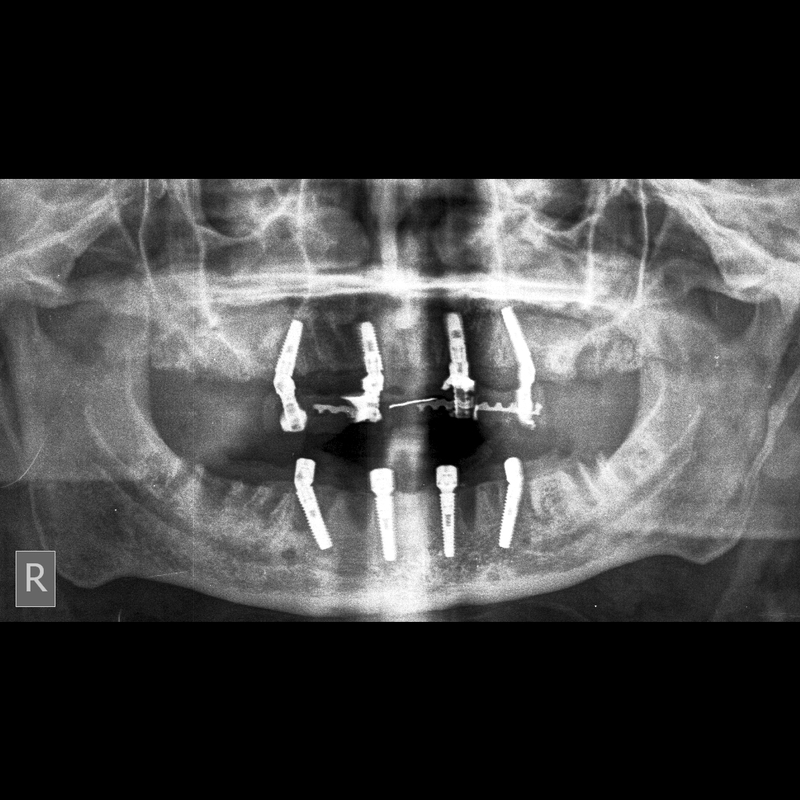 The patient gets this Screw Retained Fixed Teeth Bridge within 72 Hrs. 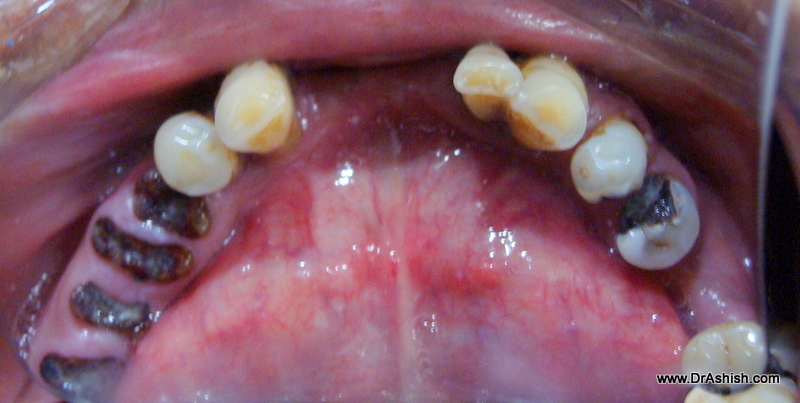 This will be followed by permanent Screw Retained Fixed Teeth[ Hybrid Dentures] as they are called after 3-4 months. 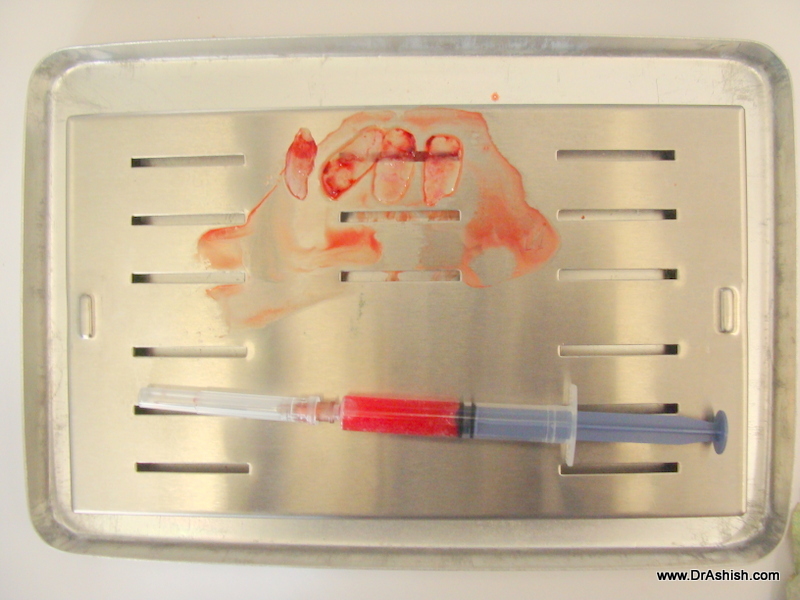 This is a fast cost-saving method and serves to eliminate extensive procedures like Sinus grafts. 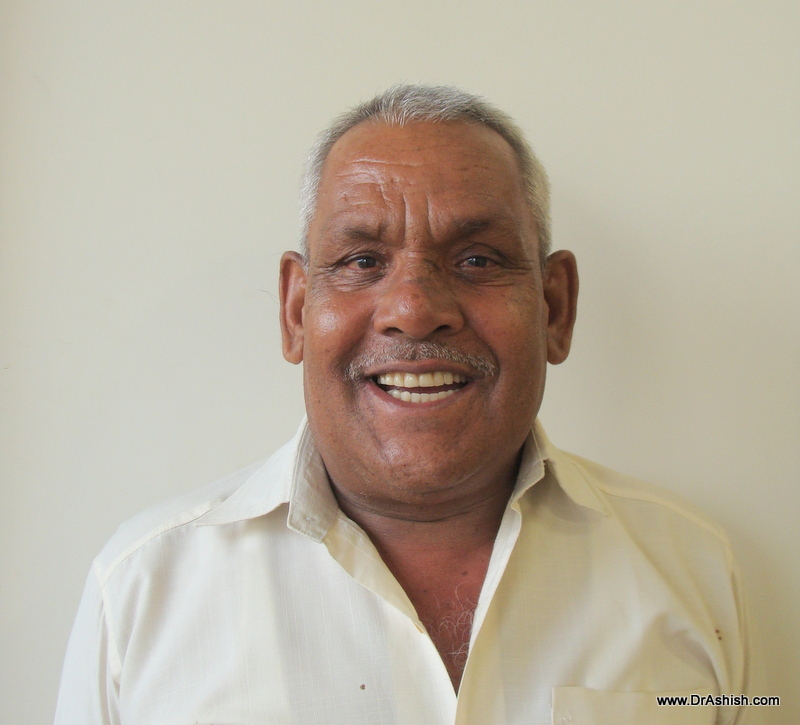 The final Screw Retained Fixed Teeth[ Hybrid Denture ]will follow after 3-4 months.